GlobalSCAPE, Inc. (NYSE MKT: GSB), a pioneer and worldwide leader in the secure and reliable exchange of business information announced today that CRN®, a brand of The Channel Company, has named Elena Spelson, Senior Channel Sales Manager, and Emily Leach, Channel Marketing Manager to its prestigious 2016 Women of the Channel list. The professionals selected for the annual list span the IT channel, representing vendors, distributors, solution providers and other organizations that figure prominently in the channel ecosystem. Each is recognized for her outstanding leadership, vision, and unique role in driving channel growth and innovation. Spelson is an accomplished channel professional who has contributed to the success of channel teams at Aruba Networks, Quest Software (now a part of Dell) and Kaspersky Lab. As a Senior Channel Sales Manager, Spelson works closely with national services providers on behalf of Globalscape, helping to deepen the relationship and keep them educated on the company’s technology. Leach serves as Globalscape’s Channel Marketing Manager, where she oversees marketing campaigns targeting channel partners and development of the organization’s Partner Program. The Globalscape Partner Program was recently awarded a 5-Star Rating in CRN’s 2016 Partner Program Guide, which recognizes a prestigious category of organizations that offer solution providers the best partnering elements in their channel programs. In addition, three of Globalscape’s leaders were recognized as CRN 2016 Channel Chiefs. 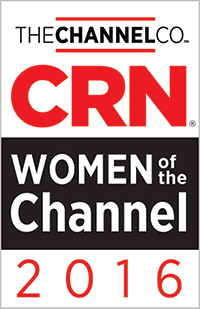 The 2016 Women of the Channel list will be featured in the June issue of CRN Magazine. For more information about Globalscape’s Partner Program, please visit: https://www.globalscape.com/partners.